Franz (Frank) Oberle was nine years old when his family was relocated from Germany to Poland. Once there, he was taken from his parents to an isolated school where adolescents were being indoctrinated into the Hitler Youth. As the tide of war changed, he became a refugee fleeing the Russian advance, arriving in Dresden as the city became the target of the most horrific Allied bombing of the war. 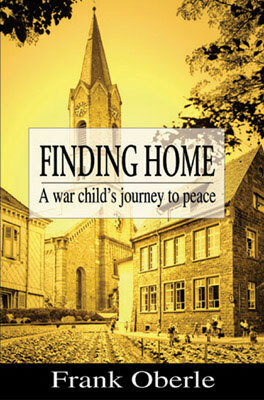 Surviving on grass and stolen eggs, Franz and a friend walked 800 kilometres to his ancestral village on the edge of the Black Forest, only to find that his parents had not returned and to face rejection from his remaining family. But the indominable Franz survived amid the disillusioned populace of Germany and, with his youthful sweetheart, dreamed of a new life in a new land. With the blessing of his beloved Hanna (Joan), he set off for Canada, promising to send for her when he was able to provide for her. Their subsequent life together in BC has encompassed tragedy and pure joy, hard work and hard times, failure and triumph, as Frank Oberle rose from self-educated immigrant to acclaimed federal politician. Set against the backdrops of the Second World War and the raw British Columbia frontier, Finding Home covers Frank's fascinating life story up until the time he visited Germany after a decade in Canada. Rich in detail, drama and humour, this is a love story, an inspirational saga and a book that sings the song of the Canadian immigrant.